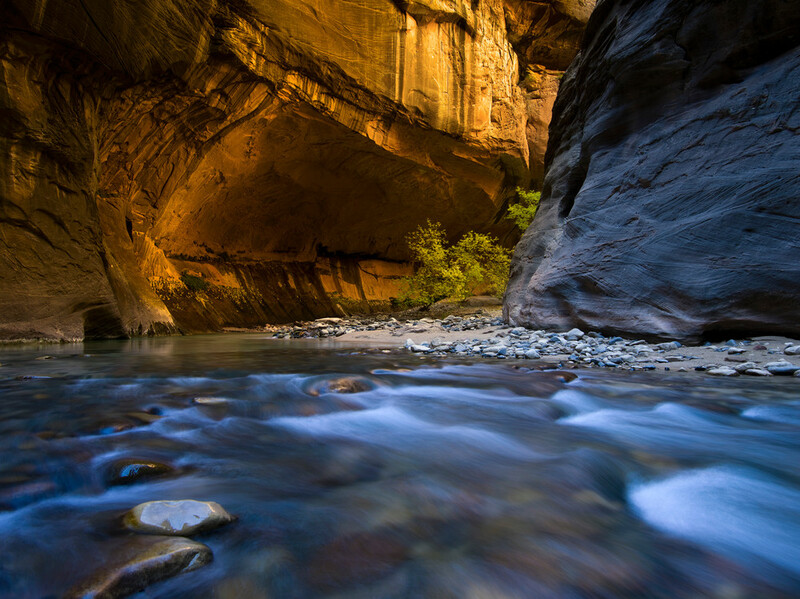 This image was captured in the Virgin River Narrows of Zion National Park. Reflected light bounces between thousand foot high sheer walls giving a very soft and diffused light that changes by the minute. After spending most of my day hiking and wading through the ice cold waters, I came to this location.